Our Price £19.95 Another currency? 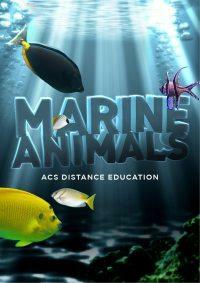 The Marine Animals ebook will provide you with a great introduction to the wonderful underwater world. Covering classification, fish, sea birds, marine reptiles, marine mammals and marine invertebrates this ebook is a great read for anyone who is interested in understanding more about marine life. Extract from the ebook "Ocean environments cover more than 70% of the earth’s surface; therefore it is no wonder that they also contain almost 50% of all species on earth. The exact number of marine species in existence is not known as there are many areas of the ocean that remain unexplored. Scientists believe there are over 2.2 million species in our oceans. Over one million of these are marine animals. Marine animals can range significantly in size from microscopic krill through to the Blue Whale which is the largest animal to ever live on earth. The ocean environments they occupy can also vary from the intertidal zones along our coastlines through to the deepest depths of the oceans. Marine species are extremely sensitive to changes in their environment. There are many human activities that have lead to the endangerment of marine animals. These include overfishing, bottom trawling, whaling, pollution, habitat degradation and climate change. Climate change associated with human activities over the past one hundred years has impacted greatly on marine ecosystems. The temperature of sea water in many tropical areas has been rising over time which has lead to the increased occurrence of coral bleaching worldwide. This is a stress reaction in coral in which corals expel microscopic algae which provides their food resource."